Aerial ascending over blue lake on clear sunny day. 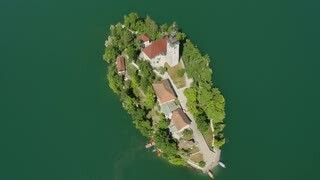 Flying above lake Bled with church island far away. Beautiful national natural lake surrounded with forest.